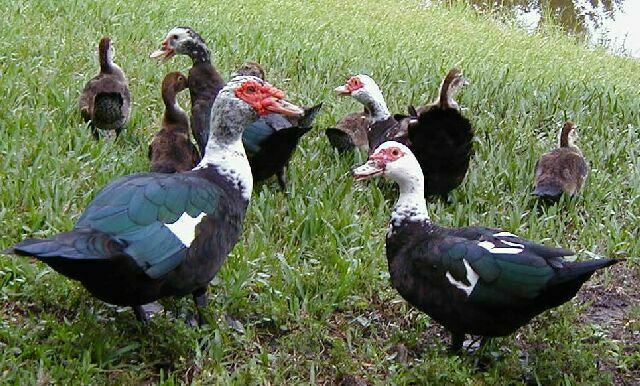 "Omega" is a beautiful Muscovy Duck, who was born on February 10, 2003. 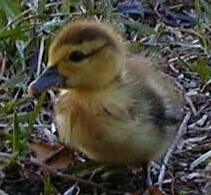 He was one of 17 ducklings. 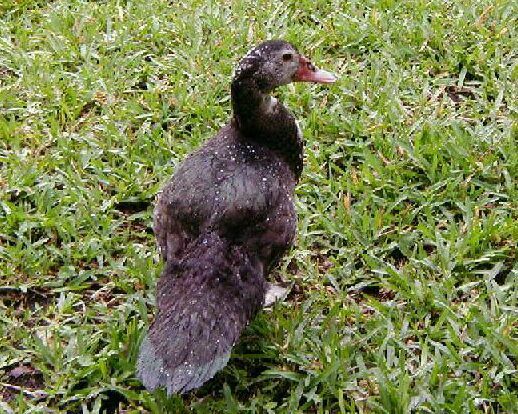 His mother, is a black Muscovy Duck that I have named "Midnight". 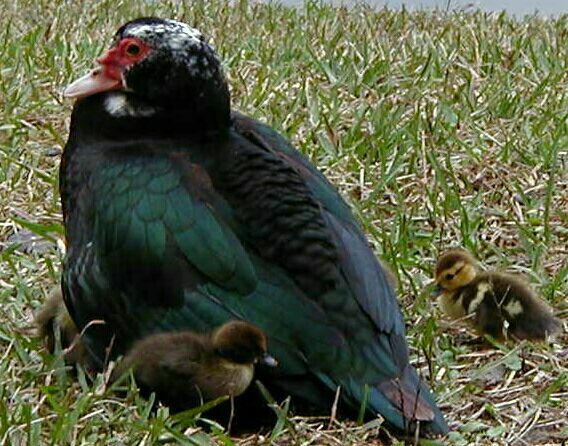 "Midnight", brought her ducklings to the lake on the day of their birth. 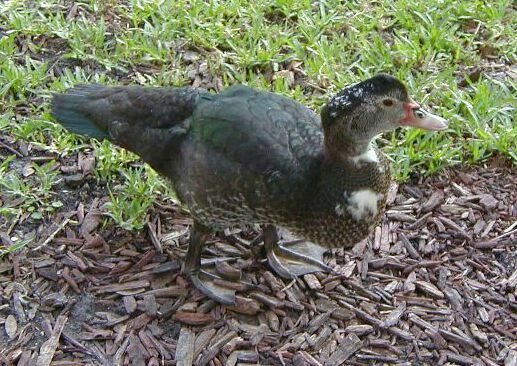 She was joined with her mate "Tux", and her sister "Frost". 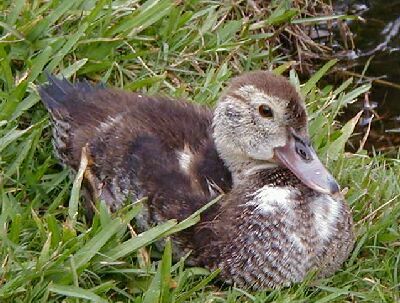 "Midnight" was a good mother, and she taught her ducklings how to find food, to swim, and to be careful of predators. 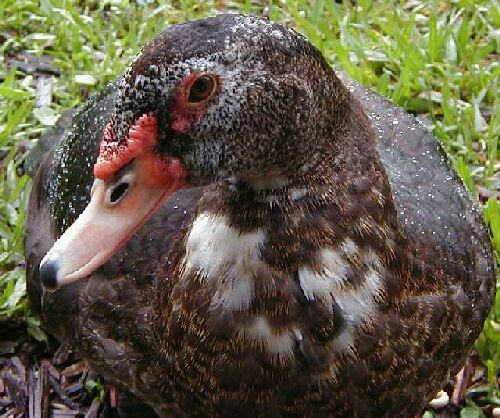 Unfortunately, there are many predators at the lake...possums, one gator, raccoons, and Hawks. 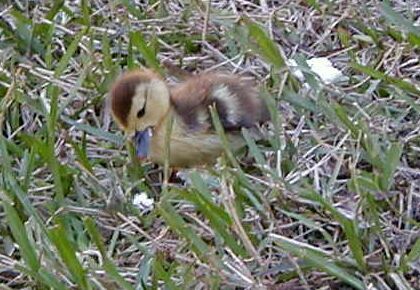 One by one would be taken...until there was only one left...I named him "Omega"...as he was "last" of the ducklings. 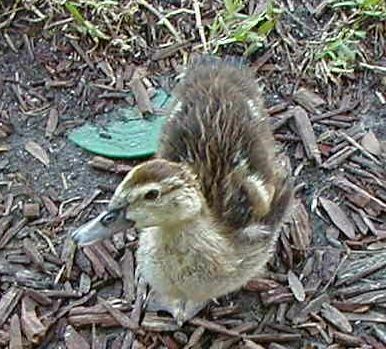 I fed him well, and hoped he would grow quickly so he would have a chance to live, and grow to adulthood. 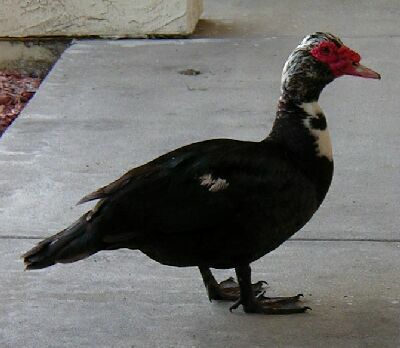 "Omega", has grown into a beautiful Muscovy Duck, and comes to visit every now and then...remembering the nice feedings, and the sense of safety he had when he was near me. He enjoys sitting and verbally "coos" with me, and stays until some invisible signal that tells him it's time to move on to safer grounds. It's been such a pleasure to watch "Omega" grow up...and all the many stages and body changes he's been through... 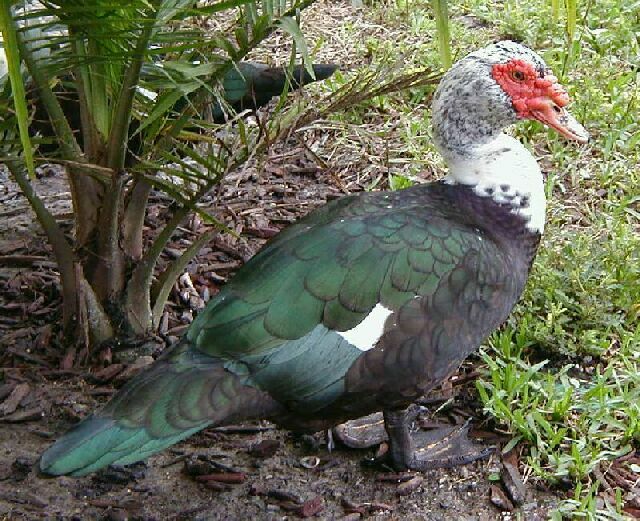 It's been such an honor to watch "nature" at its best, through the creation of this beautiful Muscovy Duck that I've named "Omega". 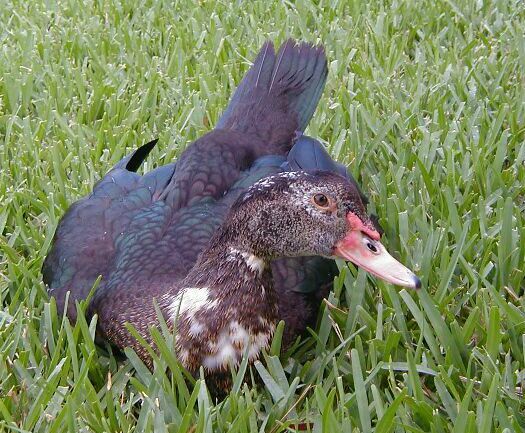 "Omega" has returned today with his wife and his juvenile son...what a special day! What a great ending to such a beautiful "TRUE" story! 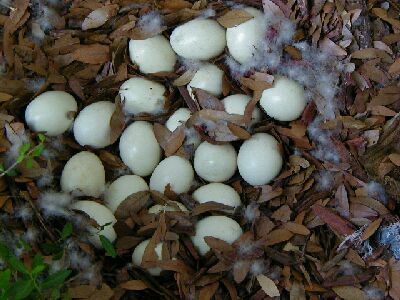 "Omega" is in the bottom left, his wife is bottom right, his juvenile son in rear left, his mother with her new 6 ducklings in rear right.